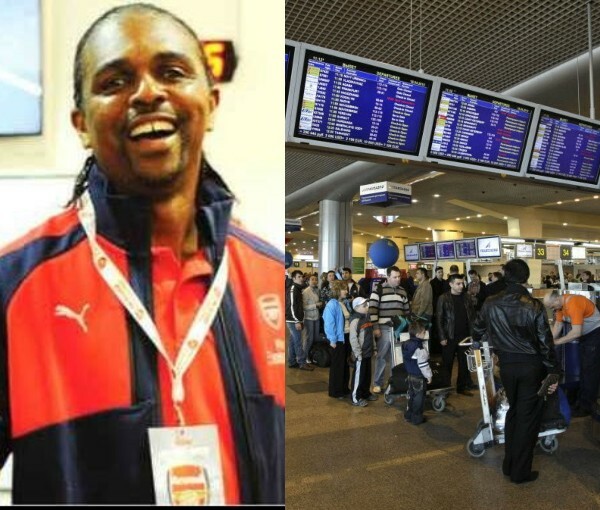 Nigerian football legend, Kanu Nwankwo who was traveling from London to Moscow, was reportedly robbed of US$11,000 (approximately N4 million). The former Arsenal striker was on his way to Kaliningrad in Russia, the city that will host the Super Eagles World Cup opener against Croatia on June 16. Russian News Agency, TASS reported that Kanu Nwankwo received his received his baggageat Khrabrovo airport but discovered that the money was stolen when he got to his hotel. Two Sheremetyevo Airport staff have been detained on suspicion of stealing the money from the Nigerian star, as investigators of the Western Line Directorate of the Ministry of Internal Affairs of the Russian Federation on transport have already opened a criminal case under Part 3 of Art. 158 of the Criminal Code. The Interior Ministry later confirmed the former Arsenal striker’s identity to the state-run TASS and RIA news agencies. Kanu Nwankwo had before now tipped Nigeria’s Super Eagles to reach the semi-finals of the world cup competition. He shared his excitement ahead of the FIFA World Cup in Russia, revealing that he is confident Nigeria will have a successful outing at the Mundial. The former African Footballer of the Year, who aired his view on the Eagles’ 30-man provisional list, told AOIFootball.com exclusively that he believes the synergy among both the players and coaching staff, will go a long way in leading the team to success. “Yes, I believe we are going to do very well at the World Cup because we have the right calibre of players for the tournament. The list is a good one and I’m sure the players are ready to fight and defend the country. “We have good players and a lot of them are in form and the spirit is good and the coaching crew and other staff members are working together, so we are well on track,” Kanu enthused. Posted by Mr. Cis on June 4, 2018.